“As the largest sports and recreation venue of its kind in New Zealand, the Metro Sports Facility will play an important part in Christchurch’s regeneration. It will give everyone the opportunity to get active and bring national and international competitions to the city. “It is tremendous to be able to take this step forward. As we’ve seen with Te Pae, getting a contractor on site and a building out of the ground does a lot for people’s confidence in Christchurch. The $221m contract announced today sits alongside the $80m allocated for specialist equipment like the pool tanks, hydroslides, water toys, fixtures, furniture and other equipment, and the money spent to date on professional services, land remediation and ground improvement. 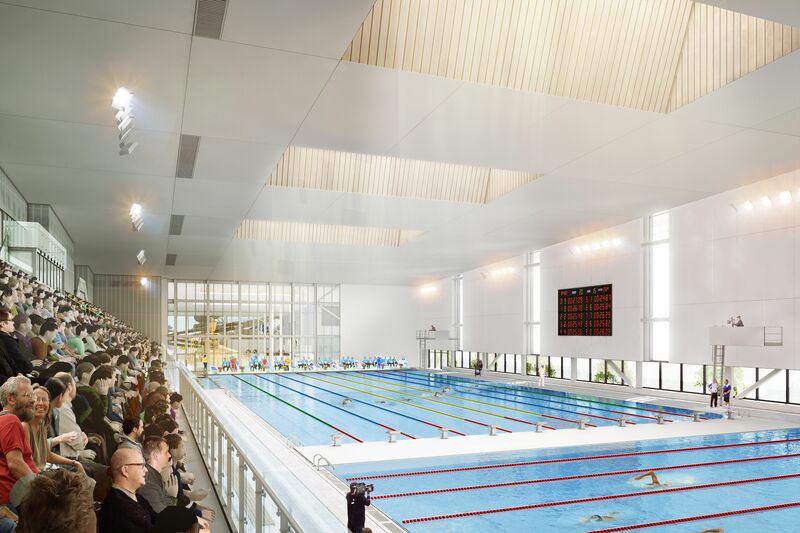 “As previously discussed, we have altered the design and delivery method to save money where we could but with construction costs continually rising, the reality is if we want this facility we need to get the build underway now,” says Mr Bridgman. Christchurch City Council will own and operate the Metro Sports Facility and will make a capped contribution of $148m to the project. The Crown has already purchased the land, giving the Metro Sports Facility a high-profile location on Moorhouse Avenue. Mr Bridgman says the Metro Sports Facility will provide both a touchstone for community wellbeing and economic benefits for the city. March Menard JV is on track to complete the installation of the last of the 7,200 in-ground stone columns in early May, during which time CPB will begin setting up on site. • Facility parking (550 parks approx).